I was poking through Dave Arneson‘s The First Fantasy Campaign the other day and happened across a section I’d never looked at before: Gypsy Sayings & Chance Cards. The sayings don’t mesh well with my GMing style (they remind me of Ravenloft’s Tarrokka Deck, a 2e product revived for 5e), but the Chance Cards certainly do. They look a lot like the event tables in Oriental Adventures, which I absolutely love (and which — like so many cool D&D things — I was introduced to by way of a post on Jeff Rients’ blog). And that’s basically what they are: random campaign events for Arneson’s Blackmoor setting. He wrote them up as cards, but presents them in FFC as a simple chart. “Random campaign events” may not sound interesting, but they’re a great piece of gaming tech. It was the Chance Cards that allowed the Great Peasant Revolt and the Duchy of Ten Raid I mentioned earlier. These cards were only used after the 3rd year and generally only in the Outdoor Survival section of the campaign. Those both sound like awesome events! 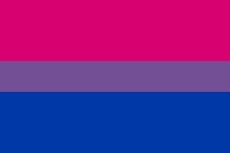 Just the sort of thing to provide a backdrop for what the PCs are doing, or to give them something obvious to do if they’re overwhelmed or feeling directionless. These cards represented ‘strategic encounters’ for the Blackmoor area, though one could allow one of the 20 forces listed under the Great Invasion to be affected at random. Roll percentile dice to determine Chance Occurance [sic] once a month (preferably ahead). The “Outdoor Survival section” refers to using Avalon Hill’s Outdoor Survival board game to represent the campaign’s wilderness areas, and manage wilderness travel. As Chris Kutalik notes, Arneson determined these events well in advance — “once a month (preferably ahead).” That’s an approach to random events I’d never considered; I’m more of a “roll when you need to” sort of GM, but there are lots of advantages to having a year of events already rolled up. Large Orc Uprising (Civil War) Report: Each area, 400 – 4000 per area (special as for Isengarders). Small Bandit Attack: 100 – 1000 Cavalrymen. Storms: Delay Trade by one month, movement reduced. 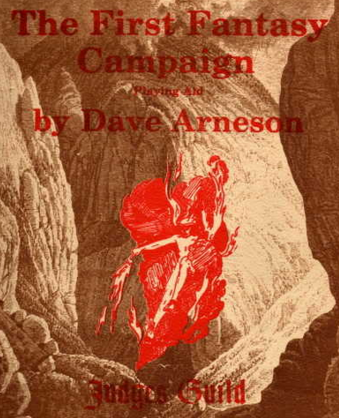 I’m currently reading Jon Peterson‘s Playing at the World, and one thing that’s struck me about it is just how much of what I love about D&D can be traced back to Dave Arneson’s contributions to the game. Chance Cards are just one more example of this. While the FFC’s Chance Cards didn’t make it into the original three booklets of OD&D, nor into Supplement II: Blackmoor, they were certainly in use around the time of D&D’s publication. I didn’t realize the notion of random event tables in RPGs went back that far — and it’s a durable concept. Tables like this are still around because they still work well. “Domain-level” random events are a great way to spice up an ongoing campaign and, like wilderness encounter tables or OD&D’s implied setting, what you put on these sorts of tables communicates a lot about the world. For instance, look at the second example entry above: 100-1,000 mounted bandits is a small bandit attack! As befits a setting (and game) born out of wargaming, Blackmoor was a place where roaming around during the wrong month might mean running into hundreds of bandits. The PCs were expected to marshal suitable forces to deal with those sorts of threats. Compare the top of that range, 1,000, to the top end — in terms of number appearing — of the wilderness encounter numbers for the creatures in OD&D, and it’s 2.5 times higher than the most goblins, kobolds, or dwarves one might randomly encounter (400). That alone makes it a dandy monthly event — something that will define a good bit of play during that period. Populating a table like this isn’t too difficult, either. The ones in Oriental Adventures make a great baseline, as do those in The First Fantasy Campaign. Slumbering Ursine Dunes and Fever-Dreaming Marlinko both offer nifty interpretations of this simple mechanic, and I’m sure there are plenty of other books out there from which to borrow. Why the FFC isn’t legally available in PDF is both baffling and frustrating. It’s a fascinating book!